Day 12: Montréal, QC. 3,359.1 km. Actually, the drive was (thankfully) an anticlimax. After what looked like significant snow and sleet last night, an icy driveway this morning, rumours of lane closures and heavy traffic, and a general suspicion that things were worse farther east, we briefly wondered if it was even worth leaving Hamilton today. But we decided to give it a shot. We had an unhurried morning: no alarm, relaxed packing, and “breakfast” at Starbucks, finally leaving Hamilton at almost noon. That was partly deliberate, since we wanted to be late enough to miss morning rush hour in Toronto, and we were also waiting to see if we heard news of bad roads or road closures. However, after all that buildup, it was a complete anticlimax: the main roads were clear of snow and ice, we had only occasional light snowfall throughout the day, and as we got farther east, the roads were bone dry. The drive through eastern Ontario was quite pretty, reminding us partly of the highway to Kenora and partly of the B.C. interior. It was an easy route: get on the 401 just outside Hamilton, and continue east until you hit Montréal. The stretch of road between Toronto and Trenton Air Force Base is designated the Highway of Heroes, with poppies on the signs along the way to remind you. At the hotel, we had by far the worst bit road on the entire trip: the parking lot. We managed to claim one of the three first-come first-serve free parking spots at the hotel, which was a smooth sheet of ice…on an incline. I made it into the spot on the fifth or sixth attempt, we carefully walked/slid to the back lane and sidewalk, and we checked in. Which was when we learned that our room is on the third floor, and there's no elevator. So we hauled all our luggage up the forty-two steep steps (yes, I counted), and grabbed a complimentery snack from the kitchen (tea, cookies, crackers, cheese, apples). The all-day kitchen assortment in this hotel rivals some continental breakfasts that I've seen, so I'm looking forward to the breakfast buffet in the morning! Our room. 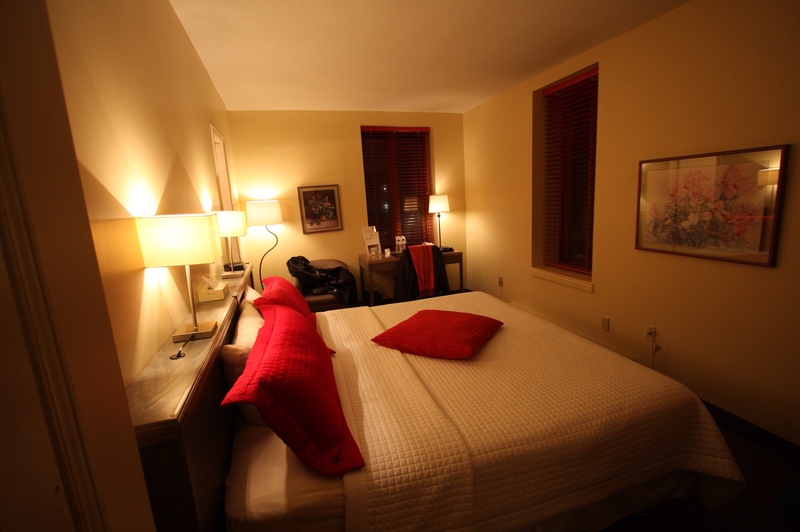 Cute and cozy, though the king bed fills most of it. And I think that'll be it for today. It's 8:00 as I write this, and I think we'll have baths/showers and just relax. It looks like there are a lot of little shops and so forth in this area (as far as I can read the French tourism guide we have, we are in the Plateau Mont-Royal district, home to artists, young professionals, cafés, bars, and small boutiques) so if the weather isn't too frigid tomorrow, we might just walk around and see what there is to see! I'm looking forward to it — this definitely feels like a different area. Not quite a foreign country, but a slightly unfamiliar culture. Should be fun! After our nice leisurely day in Edinburgh, we’re on the road again today. We’re told that the drive from last night’s hotel to tonight’s hotel could be done in not much more than two hours, but we take all day to do it, because we take the scenic route and make a couple stops. 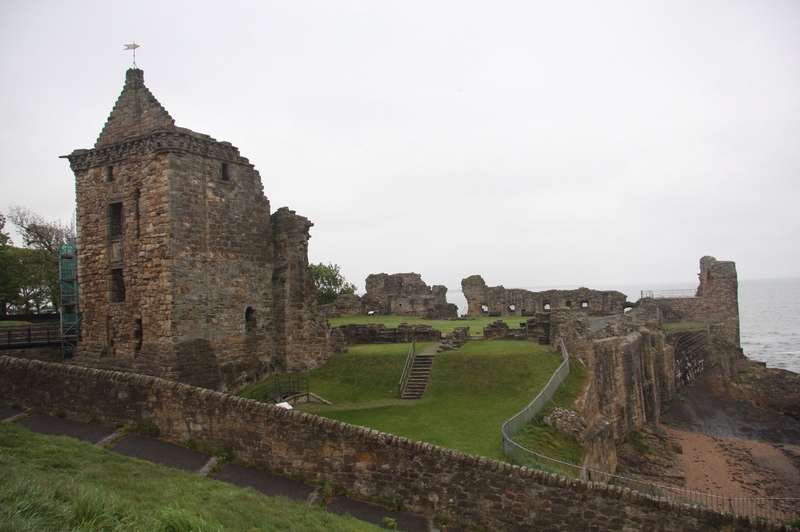 So, after breakfast was served (I didn’t have any), we had about a 90-minute drive in the drizzle and cold to the Scottish town of St Andrews. This seems to be a really sleepy little place. It has an old ruined cathedral, an old ruined castle, a very prestigious university (the one where Prince William met Kate Middleton), and a very prestigious golf course (if they decide to let you play there, you have to book a year in advance, and it costs about £1,000). 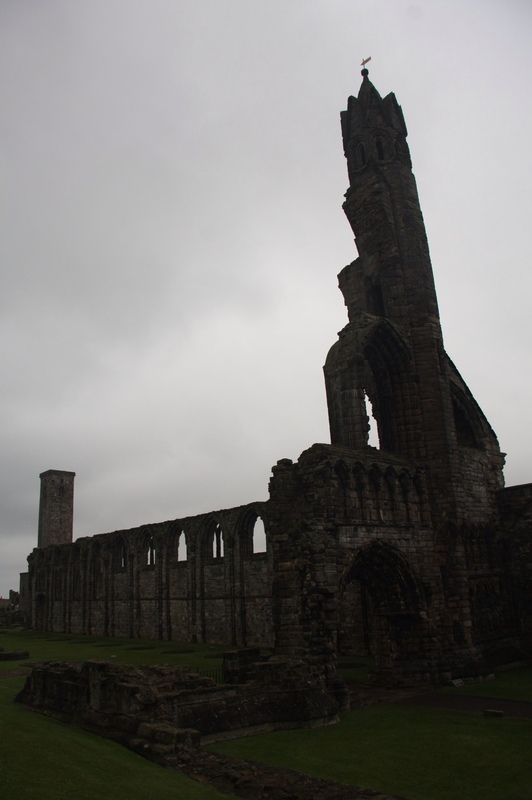 St Andrews on the coast, and it was cold and damp and rainy and windy. For some reason, I had a series of massive coughing fits for about 15 minutes when we got off the bus, so that really got my morning off to a good start :). There’s not a lot to do in town, and neither Pamela nor I were really excited to be there. We saw the old cathedral and its graveyard (where William Wallace’s gravestone is), as well as the castle (from a distance). Then we saw a Costa Coffee, and I was all over that. Hot chocolate and a brownie served as my breakfast, and Pamela bought a gingerbread man with union jack buttons because it amused her. We did have a older local gentleman apologize for the weather (“It’s no alwaes like this!”), and then we stumbled across a cute little churchyard that was out of the wind; I took the opportunity to take a few pictures. 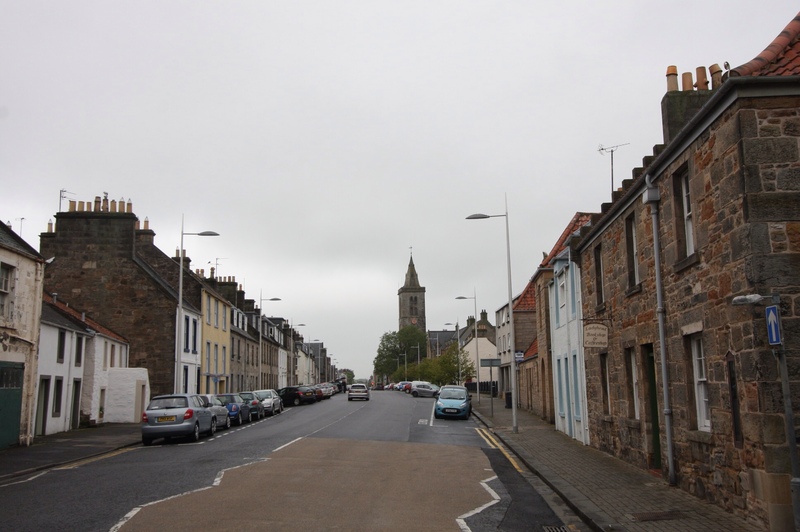 We had nothing that we really wanted to see, so we just meandered through town. We saw parts of the university (it’s spread out quite a bit), and passed a coffee shop that proclaimed “Will and Kate met here for coffee” (with “for coffee” in much smaller letters). 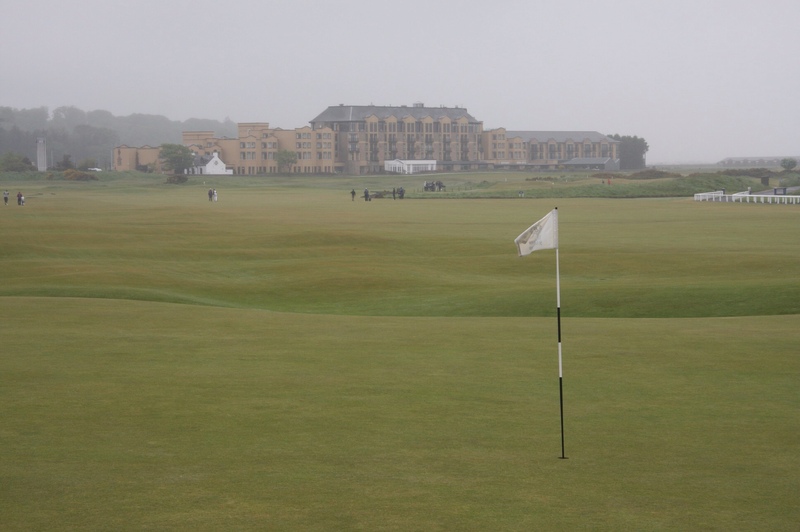 We eventually made our way to the official St Andrews Links golf shop, where we were supposed to meet the bus. We nosed around the tiny little shop, and were quite ready to leave about 20 minutes before the bus was. So I took a few pictures of the golf course, and we hung out with all the other people who were waiting to get back on the warm bus. As we continued towards Inverness, the scenery really started to remind me of driving through BC. It was hilly, and very green and lush, with streams and even pine trees at times. Quite nice; not exciting. Lunch was at a town (city?) 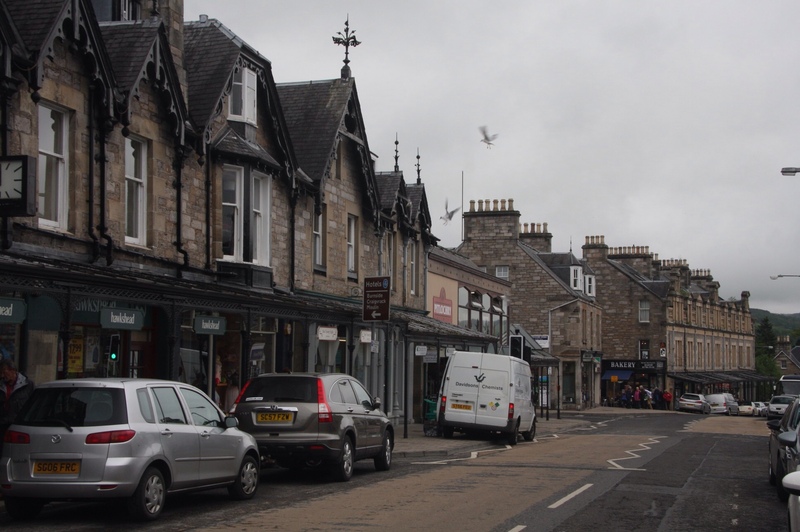 called Pitlochry. We just stopped for about 45 minutes to grab a quick lunch, but it’s clearly a popular coach stop. 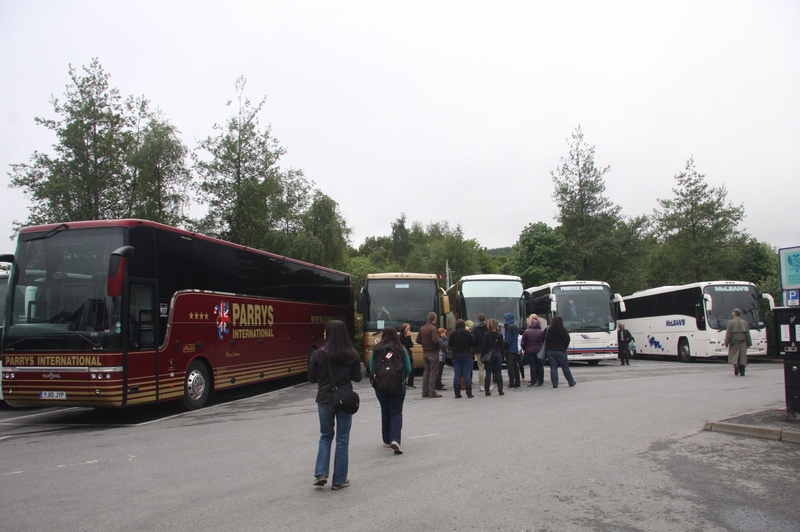 There were another six or seven coaches in the parking lot that we were in, and the area was full of restaurants and gift shops. Pamela and I ended up in a fish & chips shop run by a burly Scot. Deep fried food is very popular in Scotland; Pamela’s hoping to find a deep-fried Mars bar somewhere. We had “chicken breast chunks” and chips (with white vinegar instead of malt vinegar, for this first time this trip), and I had an Irn Bru. I don’t think I’ve mentioned this before. Irn Bru is a soft drink that’s very popular in Scotland. In fact, it’s apparently more popular than Coke, making Scotland one of the few countries in which Coke isn’t the #1 soft drink. Irn Bru is basically orange pop, though it’s got a more complex flavour than, say, Orange Crush; I think it tastes a bit like cream soda. 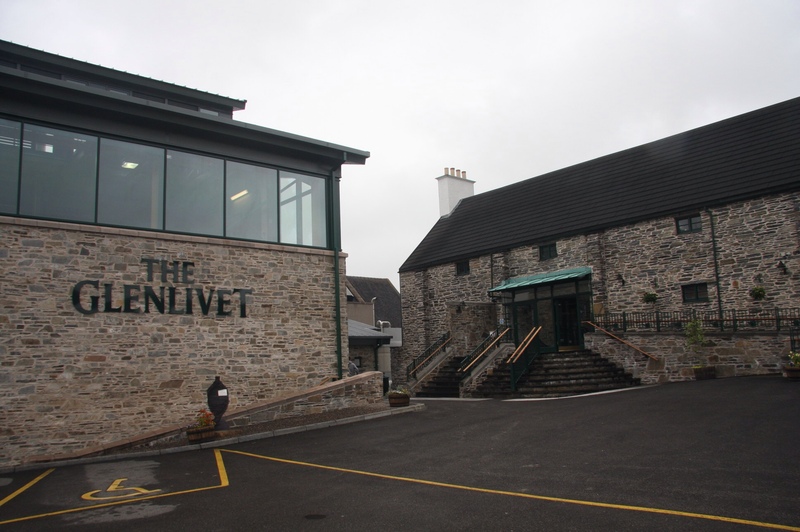 We kept heading north, and made it to the Glenlivet distillery for a tour and whiskey tasting. 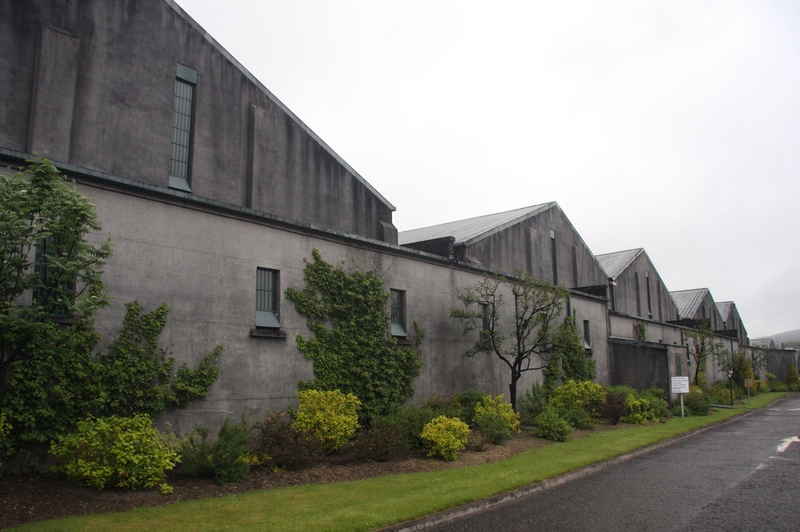 It was neat to visit such a well-known distillery, and the free scotch at the end didn’t hurt either! We had three options; I think the one I chose was an 18-year-old. The amusing highlight of the tasting was probably the fact that most of the people on the bus obviously don’t drink scotch. I was apparently one of the few people on the bus who will actually drink a scotch on occasion. I was probably most amused by our 18-year-old American, who has been enjoying drinking legally for the first time. He…was not a fan of the scotch :-). Then, just after leaving the distillery, we passed a golf course named “Ballindalloch Castle Golf Course”. Which amused me and seemed worth sharing. 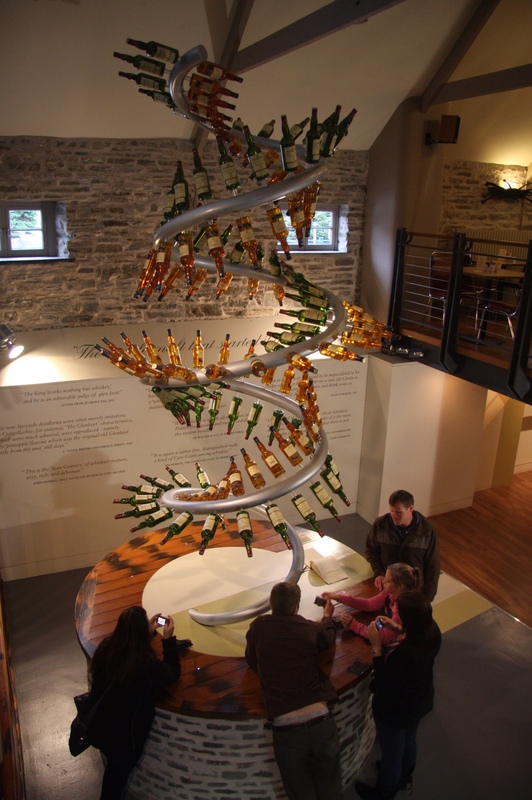 A nice display inside The Glenlivet. Overall, the drive today felt a lot more familiar than probably anywhere else we’ve been. Some of the houses could have been right at home in Canada. There were cattle pastures by the side of the road, and forests of pine and birch. 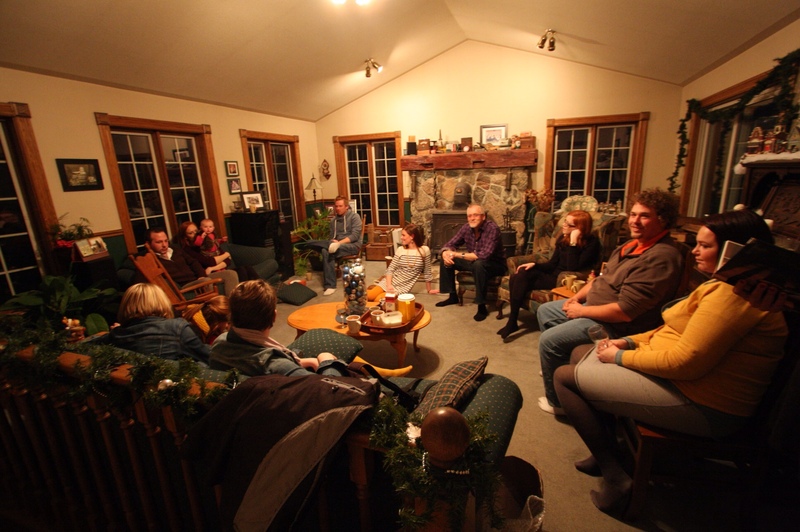 Some of the hills and windy roads in the highlands might have been the Trans-Canada through northern Ontario. Of course there were plenty of discrepancies, starting with the fact that we were driving on the left side of the road, but the scene was not nearly as foreign as most of what we’ve been looking at on this trip.